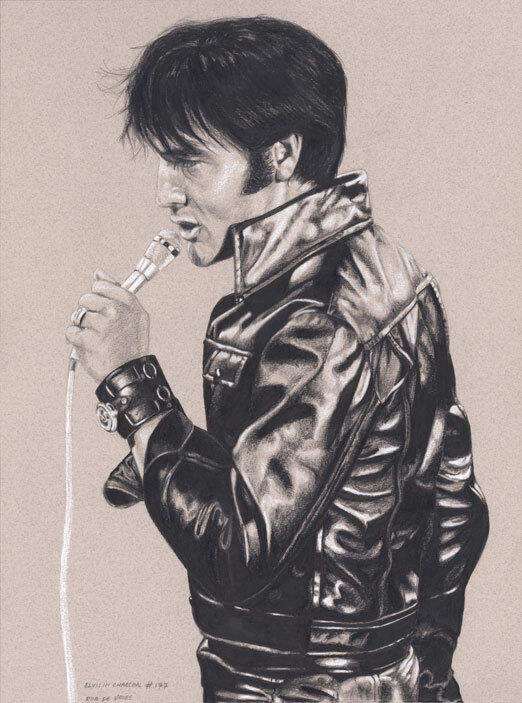 Another Elvis in Black leather drawing. This one was sold before it was finished. The ’68 Comeback drawings are popular. 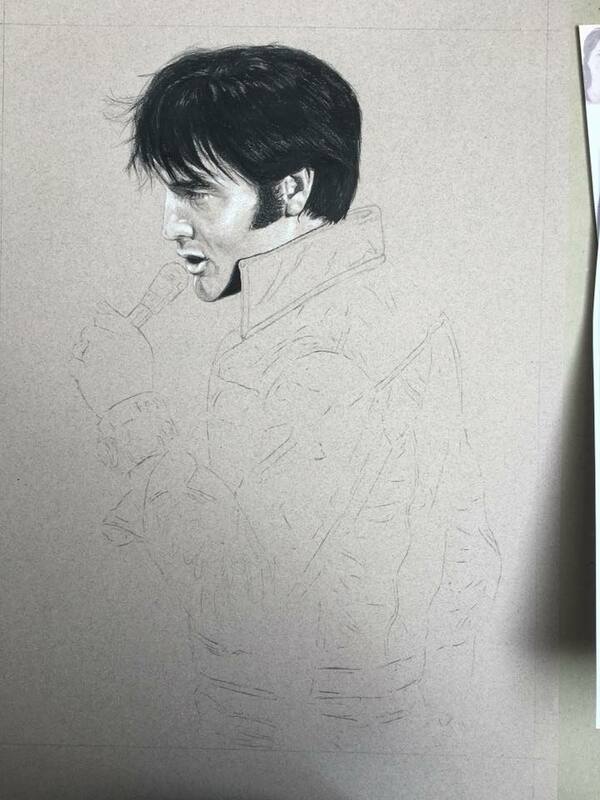 Drawing the leather took forever but it is fun and rewarding to do.